White Rabbit Slot is based on Alice in Wonderland, where you are bound to capture the surreal atmosphere of the initial tale! Consisting of 5 astounding reels and a huge number of ways to win (Megaways), you will be taken into a fantasy world during your fantastic virtual journey. Take out any of your favourite devices and delight in this wonderful Big Time Gaming creation on Wicked Jackpots! Start the ball rolling by logging into your account on Wicked Jackpots! Once you load up White Rabbit Slot, you will be required to pick an amount of your choice on the Stake field. The objective is to line up at least 3 identical symbols to reap a win. When you have made your selection, hit the Spin arrow to set going. 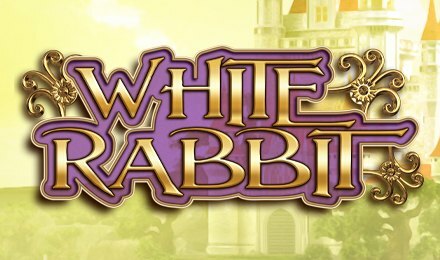 Bet Levels: White Rabbit Slot doesn’t contain any Bet Levels! Amount of Paylines Selection: The 243 Ways to Win cannot be adjusted during the game. It remains enabled to allow the easy formation of winning combinations. Coin Values: The betting options range from £0.10 to £20.00. The Wild Symbol on White Rabbit Slot replaces all other symbols on reels 2, 3, 4 and 5, bar the Scatter, Cupcake and Feature Drop. When it comes to the Bonus Wild Symbol, it enhances all the involved winning combos by 2 or 3, while substituting for any icon except for the Scatter or Feature Drop. This flabbergasting feature is triggered at random during the main game. You will find the Caterpillar adding a maximum of 4 Bonus Wilds to the reels in order to increase your winning potentials. Getting 3 or more of the Mr White Rabbit symbols anywhere on reels 2, 3 and 4 will activate the Free Spins Feature! Here, you are awarded 15 free spins to try your luck. You will notice that this amazing feature starts with 5 to 7 symbols per reel. Ready to get things whirling? This option enables you to purchase a feature anytime during the game. On its display, you will be able to view a price. When the balance displays Zero, the feature is automatically launched. Thanks to the Extending Reels Feature, additional symbols are added throughout a feature gameplay to enhance the number of Win Ways. On every spin, up to 7 symbols are generated per reel since White Rabbit Slot uses the Megaways mechanism. So, every spin can come up with a maximum of 16,807 Ways to Win! If the Extending Reels are active, up to 12 symbols can turn up per reel. Hence, coming up with a surprising 248,832 Win Ways! Whenever the Cupcake symbol appears during the Free Spins Feature, it is substituted by 2 symbols and the number of icons on that reel raises by 1. You will then find the reels extend to a maximum of 12 symbols per reel. Secure your seatbelts for an engaging and action-packed spinning happening!